Withings has returned with a new hybrid smartwatch offering, after one of the company's co-founders bought the brand back from Nokia earlier this year. 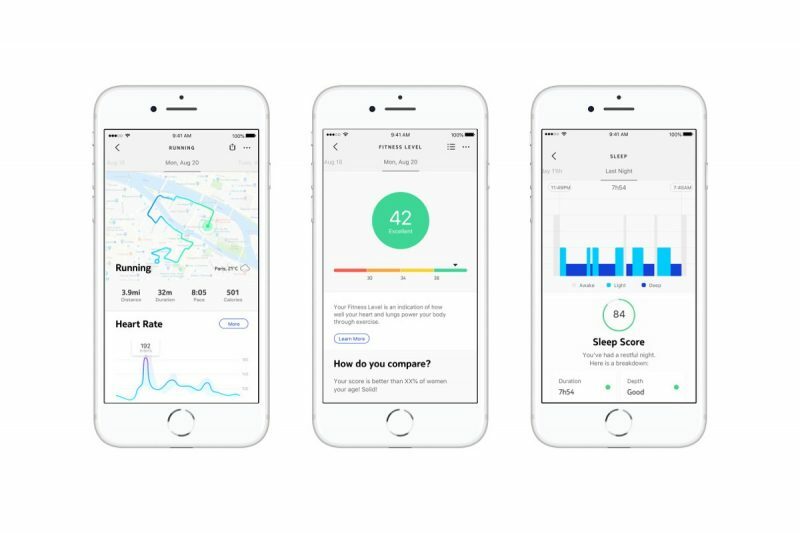 Back in 2016, Nokia acquired health startup Withings in a deal estimated at $192 million, hoping to re-establish its presence in the consumer electronics market. It did so by rebranding Withings' line of iOS compatible products under its own name. But by May 2018, the acquisition was considered a failure, and Nokia announced its intention to sell the division back to Withings co-founder, Eric Carreel. Carreel promised a "relaunch" of its products by the end of 2018, and today's arrival of the Steel HR Sport smartwatch is apparently just the start. The Steel HR Sport shares many of the features as the Steel HR smartwatch which Nokia released in 2016, such as the heart-rate monitor, sleep tracking, smartphone notifications, and 25-day battery life. But it also packs some additional new features, like the ability to track 30 different activities (yoga, rowing, boxing, skiing, and so on). Water resistance is now up to 50 meters, while new oxygen intake sensors allow the watch to measure variables like VO2 max, which is supposed to be a good indicator of overall health. Connected to a smartphone, the Steel HR Sport is also able to GPS-track walking, running, and cycling workouts with distance, elevation, and pace metrics recorded in the accompanying iOS Health Mate app. In addition, the digital readout on the analogue watch face has been tweaked to show notifications from over 100 apps, as well as regular alerts for calls, text messages, and calendar events. The Steel HR Sport comes in a single 40mm size, costs $200, and is available to order online today from the Withings website or from Amazon. Nice looking alternative to Apple Watch. Do they have ECG support and can they detect Atrial Fibrillation? They were Withings and didn't sell that many, they changed to Nokia, they changed back to Withings. At the time when they had moderate success, Fitbit were there competition. Fast forward a few name changes and there is now an Apple Watch. They can't compete with Fitbit and certainly not Apple. 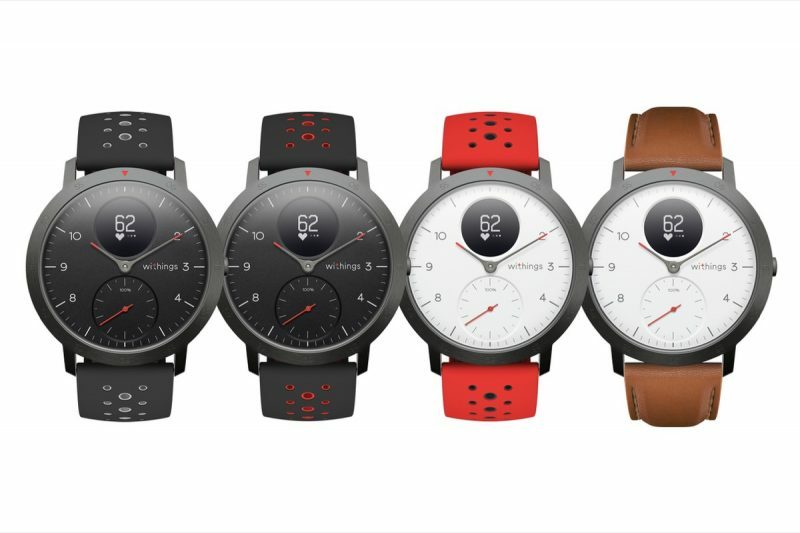 Amazfit (Xiaomi) sell their watches super cheap and sell millions. Only the kids and old people left. So from the their design, looks like are going after the old folk (a big market to be tapped in to). Unfortunately, Apple are also going after this market (with the fall detection in S4). Fast forward a few years and they will be gone! Another Jawbone! why on earth do these guys bother? Because their design is better than most, the battery life is rational, and it’s a good option if your job requires you to look at your watch for more than 5 seconds. I love my Apple Watch, but with only 18 hours of battery I don’t make it a day. Because there is a market for people who do not want to pay a premium price for an Apple Watch. But then you knew that anyway eh? Funnily enough I was talking about this with my trainer this morning. I have a series 0 Apple Watch who's battery is playing up (again). I was thinking rather than suffer another soul-destroying trip to the Apple Store to get it looked at, I might just order a new series 4 since they're new. I was looking at it and started to think that the Apple Watch doesn't do anything to justify it's price tag. None of the features are worth £430 especially when they still can't get the battery to last more than a day. This watch looks like the perfect alternative. Not too expensive, great battery life, and still does the notifications. I'll definitely look into it. Yikes, I had no idea that buying a watch would change my gender. They should add that to their USPs! 25 days of charge is pretty cool and I’m sure that there’s many people who want a traditional looking watch with smartphone/tracker functionality re body readings & a few essential notifications. Good luck to them (and I may be tempted myself someday if my series 1 breaks anytime soon). I'm all for competitive market spaces. Wish them well!! I’m thinking just the opposite. For a lot of people this is perfect. That’s some Grade A, incoherent rambling right there. Good job.